Take your Eastland commute to the next level with a new Chrysler, Dodge, Jeep, or Ram. We have plenty of new vehicles available on our lot right now, from the All-New RAM 1500 to the adventurous Jeep Wrangler. Schedule a test drive or shop online today! 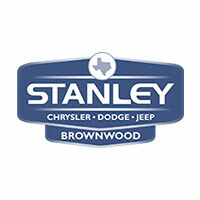 Save money vehicle shopping at Stanley Chrysler Dodge Jeep Ram Brownwood.